A blogging two-for-Tuesday . . . I previously wrote (link here) about the trademark infringement lawsuit filed last year by Rosetta Stone Ltd. (“Rosetta Stone”), the publisher of the Rosetta Stone line of interactive computer software for learning foreign languages, against two New Zealand companies, Rocket Languages Ltd. and Libros Media Ltd. (together “Rocket”) along with two specifically named individuals (Ishmael Lopez and Matthew Weidner) who each operated various “language review” websites (through which they supposedly were paid a 75% commission by Rocket for every Rocket Languages product sold through their websites) and who made the unfortunate mistake of promoting their websites by purchasing “Rosetta Stone” as advertising keywords in Google's AdWords program and Yahoo's Marketing Solutions program. 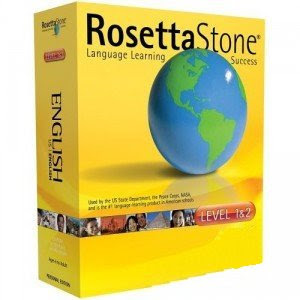 Rosetta Stone issued a press release today proclaiming victory in this particular lawsuit by announcing that it had “successfully settled” its trademark infringement lawsuit against Ishmael Lopez and Matthew Weidner. Under the terms of settlement, Lopez and Weidner will “each cease using Rosetta Stone trademarks in online paid search advertising campaigns and on their online websites and operations.” The press release also notes that Lopez and Weidner “will provide Rosetta Stone with monetary compensation.” In other words, Lopez and Weidner will stop purchasing the Rosetta Stone name as a keyword and Rosetta Stone was able to get some money out of them to pay its attorneys fees. Or perhaps it’s just another case where it simply did not make economic sense for these two guys to fight a legal battle against a large company like Rosetta Stone in order to continue using Rosetta Stone’s trademarks as keywords.